If you’re a regular visitor to the pages of auspOp, you’ll no doubt be aware that we’re rather big fans of a certain British music group by the name of Take That. Back in the ’90s, they had a string of chart successes here in Australia with hits such as ‘Pray’, ‘How Deep Is Your Love’ and the iconic ‘Back For Good’. Back for good is what they seem to be at the moment, with two massive hit albums under their belt in their homeland and mammoth 24 hour ticket sales to their forthcoming ‘Progress Live’ tour (they sold more than one million tickets in a day). There’s no denying the pull of Take That in their homeland (less so here in Australia where radio won’t touch anything that’s not on the US charts). Today marks a very special day for TT fans, with the release of the band’s new album ‘Progress’ and it’s produced by Stuart Price. Not only is it the band’s third album since reforming a few years back, but it’s also the first since the return to the fold, if you will, of Robbie Williams. Send us an email containing your name and postal address to auspOp@ymail.com with the subject line “We’ll Take That Off Your Hands” and you’re in with the chance to win! Brilliant! Competition closes on Thursday November 25, 2010 at 11:59pm AEDT. One entry per household and the winners are drawn completely at random. Winners’ first names, suburbs/towns and states will be published on the site on Friday November 26, 2010. 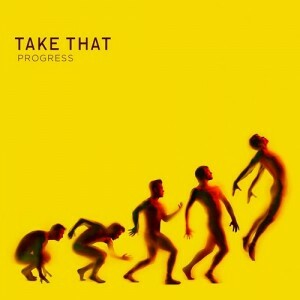 Five lucky people will pick up a copy of Take That’s new album ‘Progress’ with thanks to the team at Universal Music. And as always, we take your privacy very seriously, so unless advised, we never pass on your details to anyone ever. Not even the Archbishop Of Canterbury and you’d think he was pretty trustworthy. Can you change the subject line for the contest pleae? It looks a bit rude.